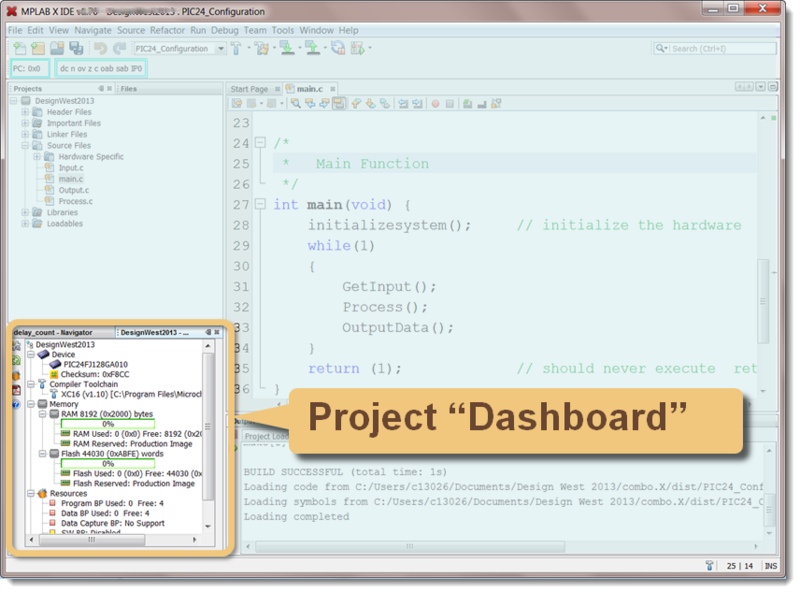 The Project Dashboard displays the current status of the project including checksum, memory usage, and debug information as well as other useful information. 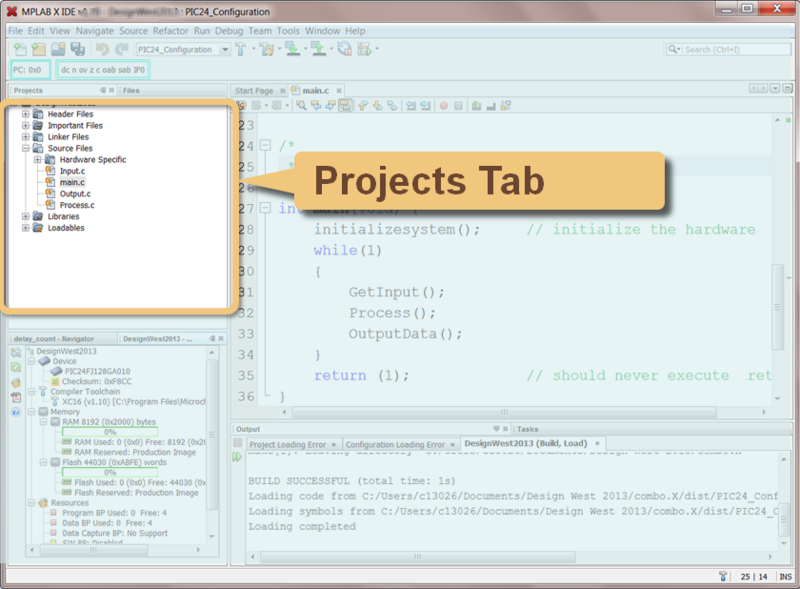 Double clicking on a file from the Projects tab of the Projects Window launches the MPLAB® X Editor which opens the source file in the editor window. 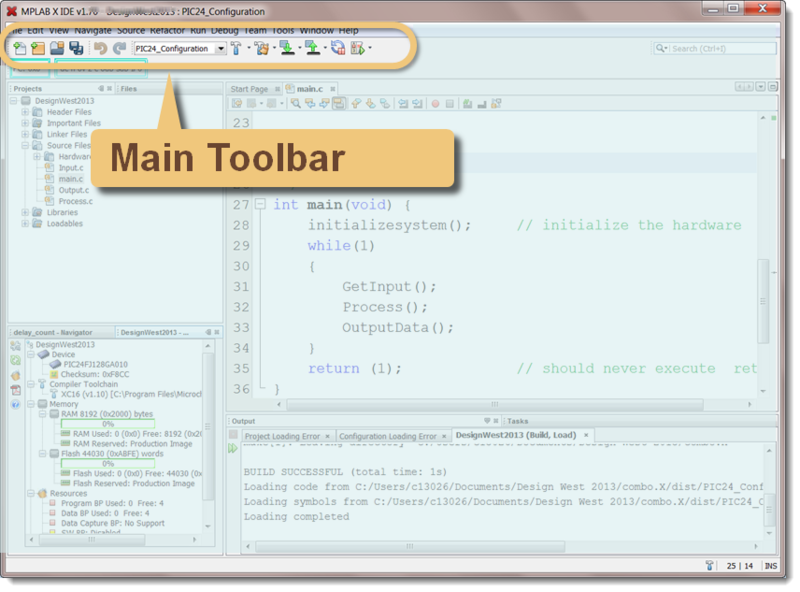 MPLAB® X saves all modified files when the project is built. 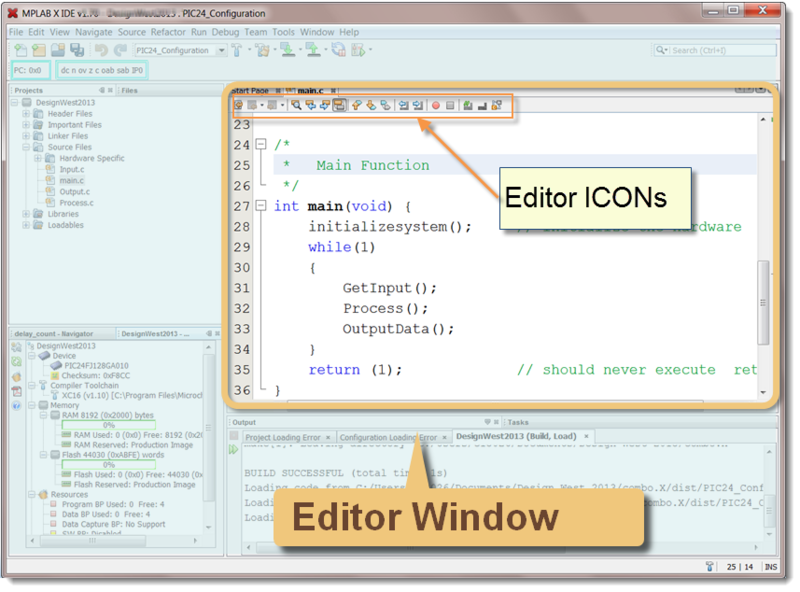 The user can also save any modified files directly by clicking the Save icon in the editor window toolbar. 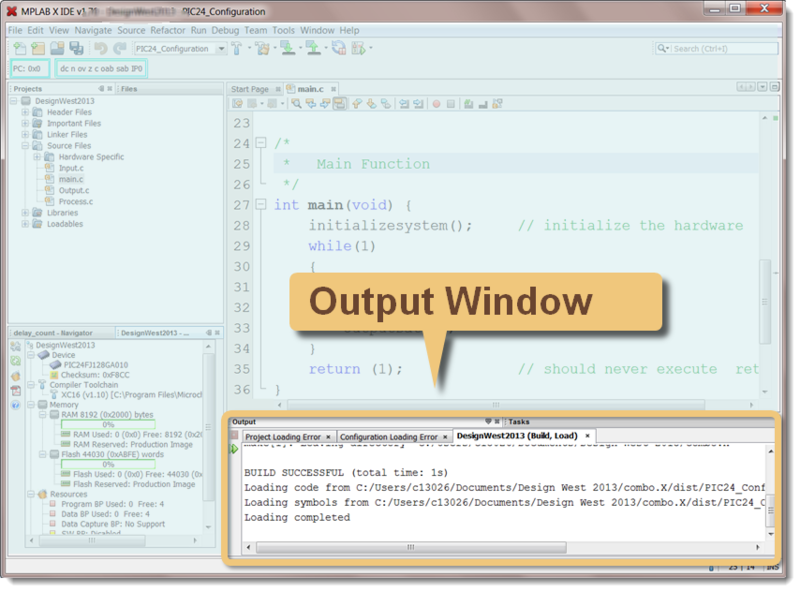 Examples of new windows opening in the output window include the Watches Window, Variables Window, and Debug Disassembly Window, among others.